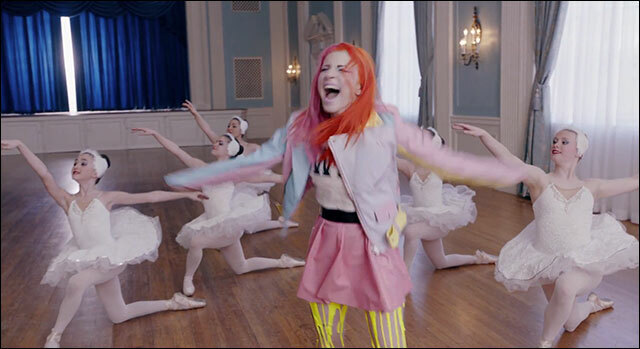 The music video for Paramore's second single 'Still Into You' has been released. The band is seen to have a lot of fun with balloons, bicycles, ballet dancers, cake and fireworks, which is fitting for the upbeat and quirky track. Hayley Williams sports an original look of orange pink hair and crazy yellow tights.